Many adults searching for orthodontists Newcastle because they are unhappy with their teeth. We can treat any age it's never too late to get the perfect smile. Which braces are for me? Having a brace fitted these days does mean everyone has to know about it. Did you know we offer 2 types of invisible braces depending our your circumstances and needs. At Oraprime Orthodontics we offer 12 months interest free credit to pay for your treatment. Longer term financial packages are available. We are offering a FREE assessment to all new patients who would like to see if they are eligible for braces - No obligation to proceed just call to make your appointment 0191 257 4338. If you would like to know more about how Specialist Orthodontics can help you achieve the perfect smile. 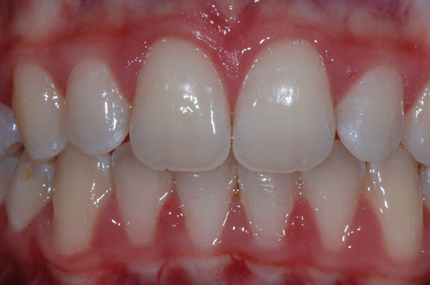 View our latest images from the before and after treatment gallery. Welcome to Oraprime Orthodontics we are a specialist orthodontic practice in Whitley Bay, Tyne & Wear.Orthodontists specialise in straightening teeth, there is no age limit for treatment and yes… it can be invisible! You don’t have to live with crooked, un-straight teeth. For the rest of your adult lives we only have one set of teeth and it is one of the first things our eyes are drawn to when we meet someone. Shouldn’t we all be confident with our smile and proud to show it to the world? One of the most common questions we hear is ‘Am I too old to have braces?’ The answer is no! Our patient’s ages range from 10 up to 75.